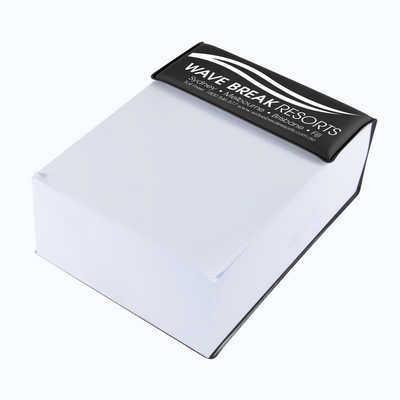 400 sheets block of paper notes with PVC binding. Great for note taking in the office or home and staying on top of important tasks. Never run out of notepaper again! Your logo will become a permanent fixture in high traffic areas. Colours - Black Size - 80 x 112 x 45mm (LxHxD) Decoration Area(s) - Pad print on Notebrick : Top - 70 x 27mm (LxH); 4CP Standard Label on Box : 41 x 71 (LxH). Price includes : 1 Col 1 Pos Pad Print. Setup is included.